Gauges 12-16-24-32-42-52.Get rich, full, warm, acoustic tone with brilliant highs and ringing clarity. Phosphor Bronze strings provide you with an excellent balance of tone and long life that can only be found in our formula. They are everything you've always wanted in an acoustic string. Get rich, full, warm, acoustic tone with brilliant highs and ringing clarity. 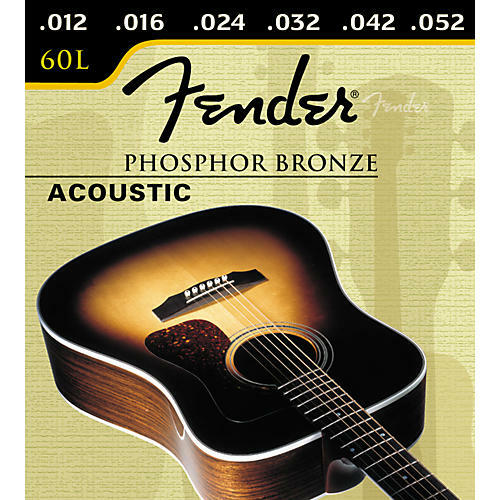 Phosphor Bronze strings provide you with an excellent balance of tone and long life that can only be found in our formula. They are everything you've always wanted in an acoustic string.